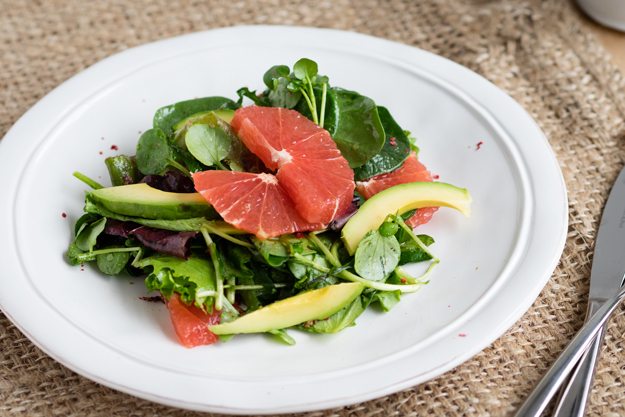 A light and refreshing salad with baby salad leaves, grapefruit, pink peppercorns, avocado and a honey dressing. Well, the sun in London has been out consistently enough now that I can call it Spring! How’s the weather where you are at? 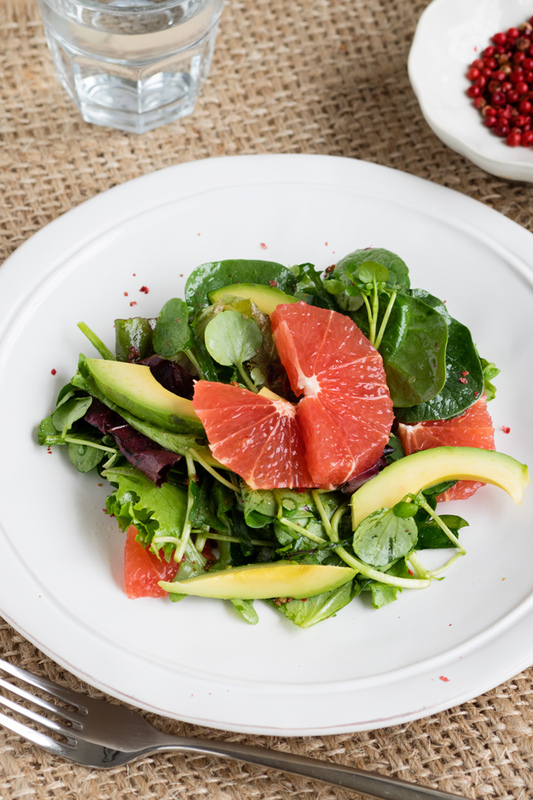 With the sun rising earlier and shining brightly through the window, I can’t help but feel I need to eat a colorful and fresh breakfast packed with vitamin C. On my plate this morning is a sweet and zingy Grapefruit Salad with Honey Dressing and Pink Peppercorns. Pink Peppercorn is one of those ingredients that I used to pick up and put back on the shelf every time I went to the grocery store. They are so beautiful sitting in the jar, but I couldn’t get myself to spend the extra money on them, especially since I wasn’t convinced they were much different than black peppercorn. Well, I was wrong. 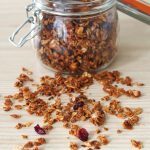 I’ve since discovered how versatile pink peppercorn are, and love using them – both for the milder fruity-spicy-peppery taste and for the beautiful appearance it lends to dishes. They have a very fragile outer skin that gently flakes off, so the vibrant pink color can easily be sprinkled as a finishing touch. It’s best to crush the pink peppercorn with a knife or mortar and pestle. A spice grinder is too harsh for them. You might wonder, what’s with all the different types of peppercorn? Black, white and green peppercorn are all from the same tree, originating from India. A green peppercorn is an unripe black peppercorn. Once ripened, the peppercorn are cooked and dried, giving you the common black peppercorn. By removing the outer layer of a black peppercorn, you get a white peppercorn. A pink peppercorn, however, is from an entirely different tree originating from South America. It looks like a “true” peppercorn, and has the familiar peppery taste, so it’s often marketed with the “true” peppercorns. It’s much more fragile to handle, and milder in taste. 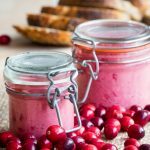 So if you don’t have pink peppercorn laying around in your cupboard, and are hesitant to buy a jar of them for whatever reason, let this be the recipe to convince you otherwise. You can use any sort of salad base you want, but I like it on baby salad leaves. Grapefruit pairs exceptionally well with the sweetness of the honey and spice of the pink peppercorn. 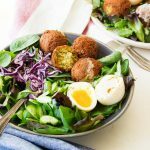 The avocado adds a smooth creamy texture to each bite, and the touch of cider vinegar in the dressing gives it just a little bit more zing. 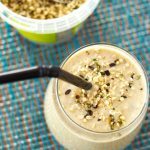 Hopefully, you can also enjoy this recipe with some sun! 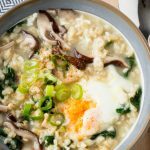 In a small bowl, whisk everything together until smooth. Set aside. In a large bowl, toss the salad leaves in the dressing. Serve onto individual plates. 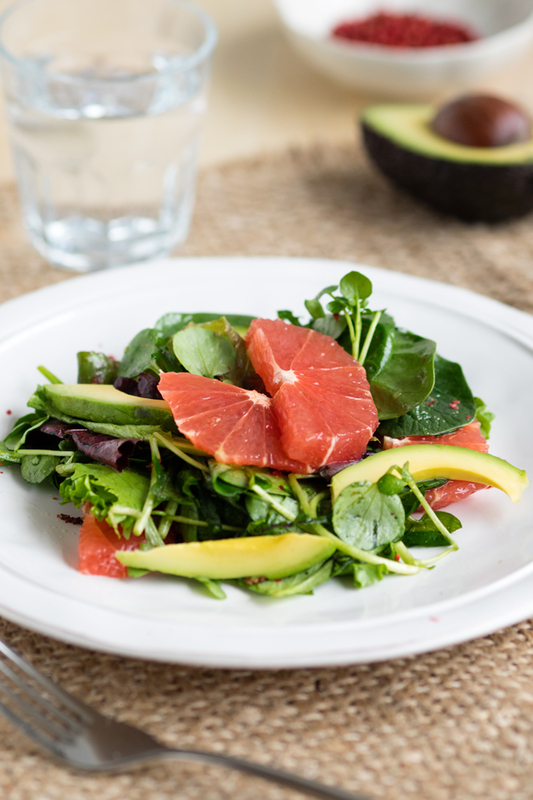 Top each plate of salad with the pink grapefruit segments and avocado slices. Finish with a sprinkling of the crushed pink peppercorns. 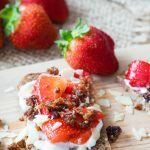 Thank you for the interesting and innovative breakfast and brunch recipes. 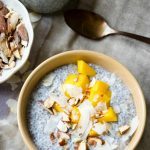 Breakfast has always tended to be ‘routine’ for me but I feel inspired by the ideas I have discovered here. 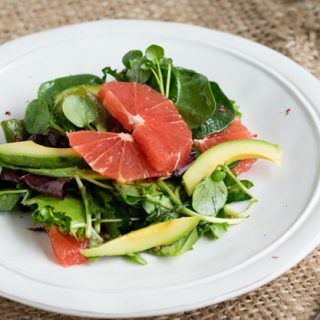 I can’t wait to try this salad and bring some summer freshness to a winter’s day and pink grapefruit is one of those fruits that looks gorgeous and certainly awakens the taste buds! Thank you! Thanks for the comment. I’m happy to hear that you are inspired by the ideas here! Happy breakfast eating! I had tasted this salad, it is very light and refreshing. I don’t mind to have it every day.